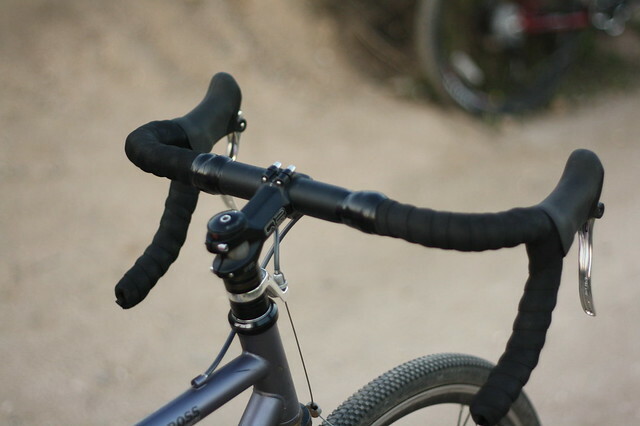 A few months ago Fyxation sent us a package of Loop EVA Bar Tape to test out. I’ve installed this on my Soma Fabrications Double Cross DC cyclocross bike. After a few hundred miles of riding, I figured I’d show off the condition of the tape. Below is a photo taken during one of my CX bike rides through the Fullerton Loop of Fullerton, Ca. This shows you that there has been no tearing, slipping, or fading in color. Inspired by the famous loop in downtown Chicago our Loop EVA foam bar tape offers a great blend of comfort and grip. Avaiable in 5 colors, Loop bar tape lets you customize your ride with other matching Fyxation gear. 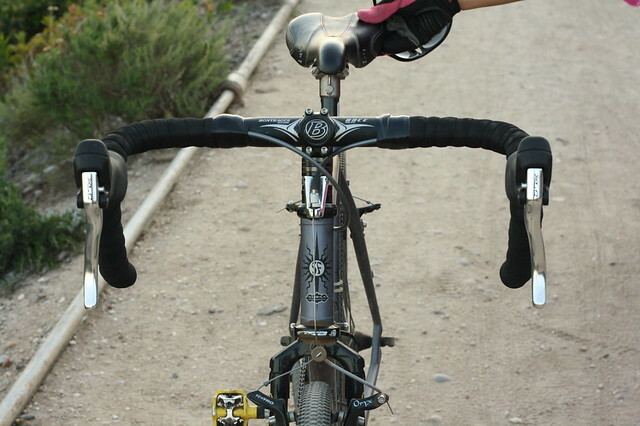 The bar tape is easy to install and very comfortable. It wasn’t too thick for my hands and it did a great job in absorbing some trail chatter. One of the things that stood out to me was the tape’s adhesive backing. When I first installed the tape, I was using a pair of brake levers that I really didn’t like. I eventually replaced them and thought that if I removed and reinstalled the tape, it wouldn’t be sticky enough to stay put. Well after 3 times of removing and resinstalling, I was pleased to see that the tape stayed in place, it never shifted or slipped. Fyxation also provides you color choices; Black, White, Pink, Green and Orange. 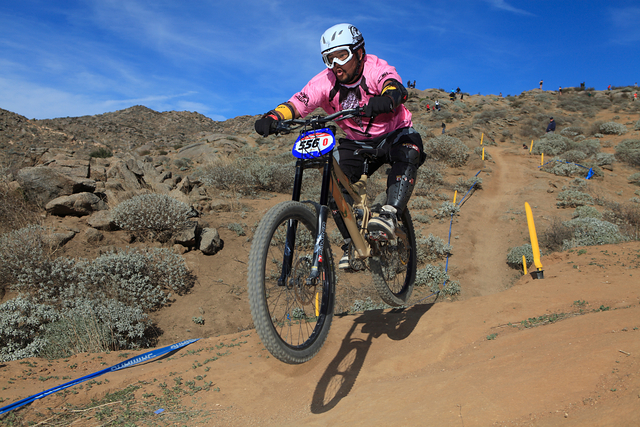 I’m a big fan of Pink, and I think pink tape would have looked killer on my bars. 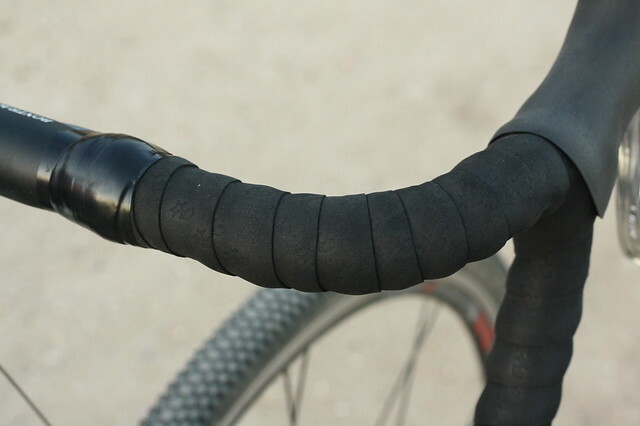 Overall, would I recommend the Fyxation Loop EVA Bar Tape? Yes I would. The quality, durability, low price and color choices make it a great product for any bike commuter to use. I have Bontrager cork on one bike, and I don’t like it at all. It slips. The Cinelli cork on my other bikes doesn’t. How would you compare the EVA tape to a good cork? That’s funny, because I LOVE Bontrager cork — have it on all but one of my road bikes. It has never slipped and is nice and thick for my big hands. Cinelli is good, but too thin for my tastes. I’d really like to try this Fyxation stuff, but I’m not too keen on tapes with adhesive. Is there really peel-n-stick adhesive on these, or is it more of a sticky band like silicone? You know the golden rule regarding bar tape don’t you? You know, the #1 rule… Bartape can be any colour you like except white! Glad to see the one they sent you adhered to this important rule!